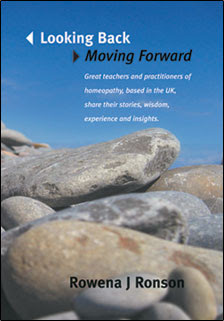 Elizabeth Adalian has been practicing homeopathy for twenty years. During this time, she has gained a reputation for upgrading our understanding of homeopathy according to the effects of contemporary lifestyle influences. She has spent considerable time running teaching clinics both in the UK and overseas. Having worked extensively in former war-torn countries like Bosnia and Croatia, as well as Ethiopia, she gained an increasing interest in the long-term effects of trauma. She has translated that experience into her work here in the UK, where she has discovered one does not need to have lived through a war in order to suffer from post-traumatic stress disorder - even such unidentified issues as a complicated labor can lead to this state in the vulnerable sufferer. In these cases, one may give Sepia for the inevitable resulting lack of bonding. When this approach does not work,one may overlook the need for a remedy like Opium to unlock the trauma at the core level. Only then will the patient recover and embrace life - and - hence - her baby. Through her work, Elizabeth has uncovered aspects of the lesser-known remedies, which apply markedly to today's growing phenomena - such as anorexia, autism, drug addiction, endometriosis, self-mutilation, etc. This has made her realize that there is no such thing as a 'small' remedy, only an unproved remedy. Elizabeth has given a series of independent seminars at her clinic in Hampstead covering many topical themes with very positive feedback. Recently, she gave a day seminar at the Ainsworths Center on 'States on the Autistic Spectrum'. Here is a quote from an email received afterwards from one of the students attending - '..How fantastic to be able to offer help and healing to people in these distressing states, outside the conventional medical field,which appears to be so ineffective. Your extensive experience, I'm sure, will be extremely valuable to a wide group of practitioners and give hope to so many sufferers and their families'.